When talking about your family’s comfort and protection, the word ‘compromise’ is out of the question. When you get roof repairs done a little too often, you should start thinking about getting new roofing for your home. 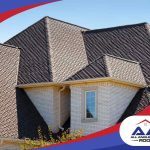 However, you should not rush into buying the first roofing product you see. You are already shelling out for an entire roofing system, so you might as well choose high-quality cool roofs like the Landmark Solaris® Platinum, the Landmark Solaris Gold, and the Presidential Solaris® shingles from CertainTeed®. 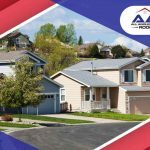 To get why cool roofs are an excellent choice for your roofing system, you must first know what cool roofs are. To put it simply, cool roofs have the ability to reflect both ultraviolet (UV) and infrared solar wavelengths, which means heat transfer to your home is reduced. Compared to your typical roofing products, cool roofs also are better at radiating or emitting absorbed solar energy. Living in urban areas does come with perks, but the heat island effect is not one of them. It is a good thing that there are things you can do to address this problem, and that includes choosing cool roofs. When cool roofs reflect heat and sunlight from your home, your roof temperature drops, and your home stays cooler. 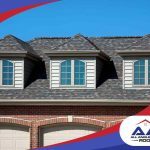 You can save on your energy bills because you won’t have to use air conditioning as much as you do when you have regular roofing products installed. 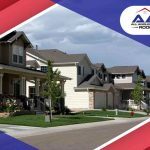 There are a number of reasons homeowners turn to contractors who offer cool roof installation as one of their residential roofing services. Cool roofing comes with incredible benefits that roofers rave about and homeowners enjoy. It offers superior comfort and improved health in the house. Because of its ability to lower the temperature inside the house even without air conditioning, cool roofing helps you keep your family safe from illnesses that are associated with heat. It helps you minimize your energy use. With a cool roof, your house stays cooler and will consume less energy for cooling. You may enjoy up to 20% in energy savings with this roof! It helps lessen air pollution. As more and more people choose cool roofs, greenhouse gas emissions and air pollution, in general, are also reduced. CertainTeed cool roofs are indeed your best choice for your roof replacement. Choosing them will mean that you are doing your part in addressing the heat island effect. All Angles Covered, your trusted team of experienced roofers can install CertainTeed cool roofs over your home. 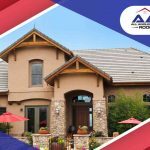 Talk to our reliable staff by calling (303) 857-5925 for more information about cool roofs. Ask about the free estimate that we offer.